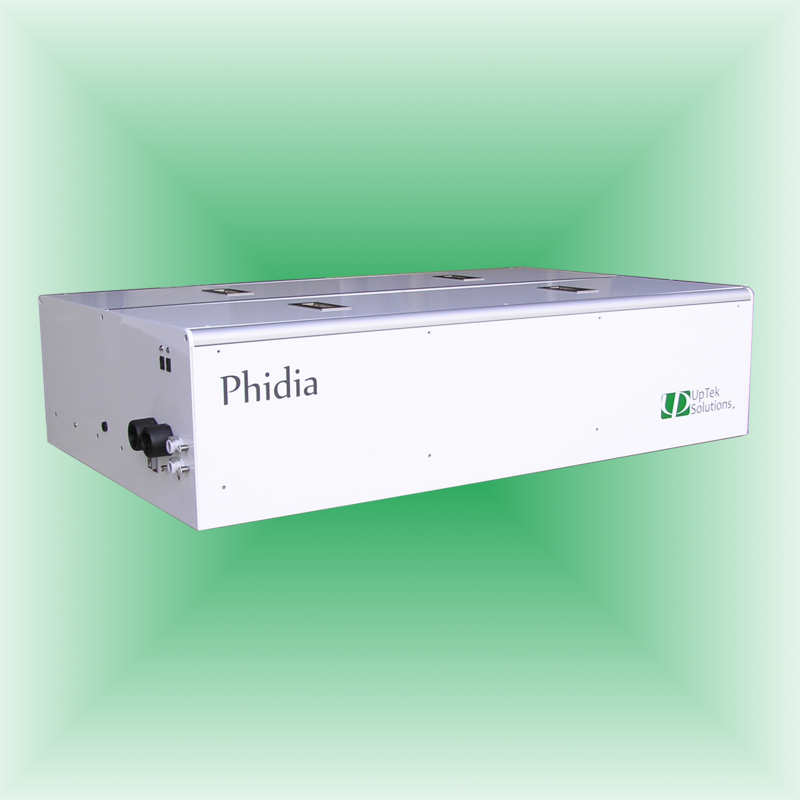 Phidia is a one-box Ti:sapphire ultrafast amplifier with a seed laser, a pump laser and amplifiers integrated inside one single enclosure. It features industrial-grade, maintenance-free PM-fiber laser or hand-free Ti:sapphire oscillator as seeder as well as field-proven Q-switch pump lasers, resulting in excellent reliability for day-to-day operations. Phidia is capable of operating at variable repetition-rate up to 100 KHz and delivers pulse duration from 35 fs to 2ps with output power up to 6 W. Phidia is a robust, high reliable ultrafast amplifier offering the widest range of operation repetition-rate. It is an ideal ultrafast tool for scientific as well as industrial applications, such as OPA pumping, time resolved spectroscopy, material processing, precision micromachining, etc. Each Phidia can be modified to SP/HSP or PS models which features an external Ti:Sapphire oscillator, the Aria-Ti, for a wider range of applications. They also have a center wavelength at 800 ± 10nm.